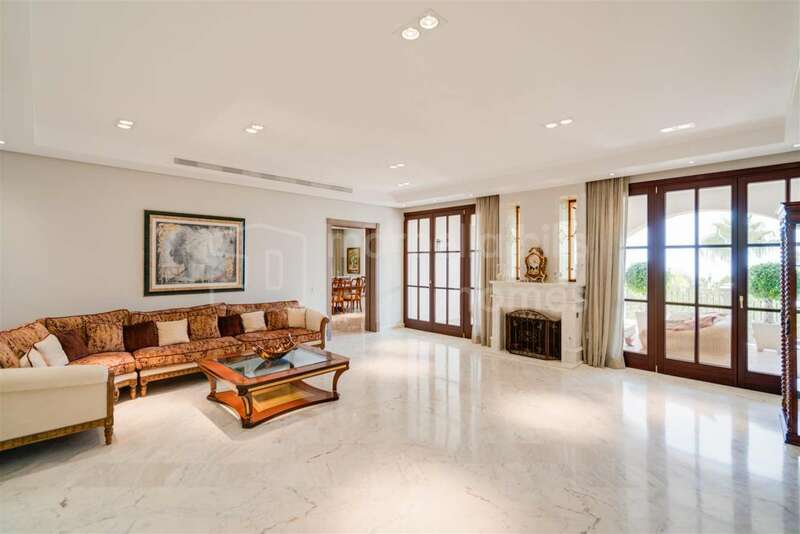 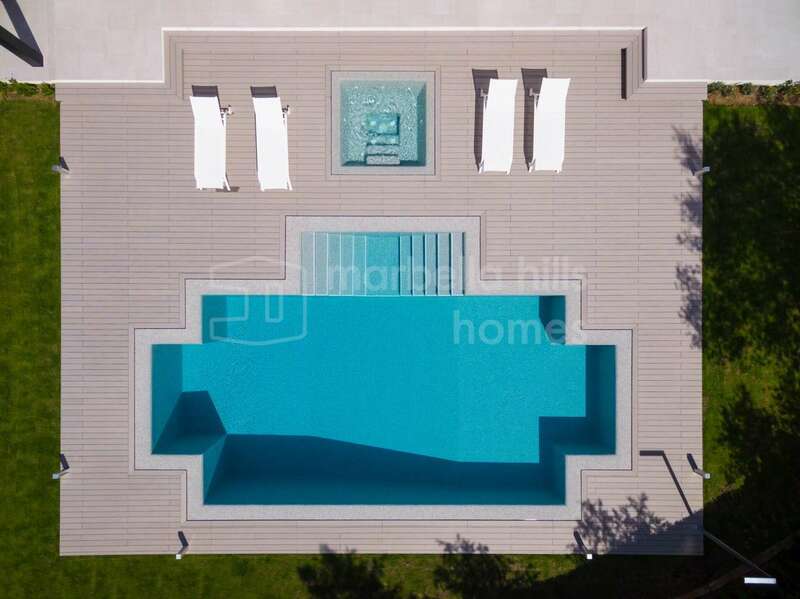 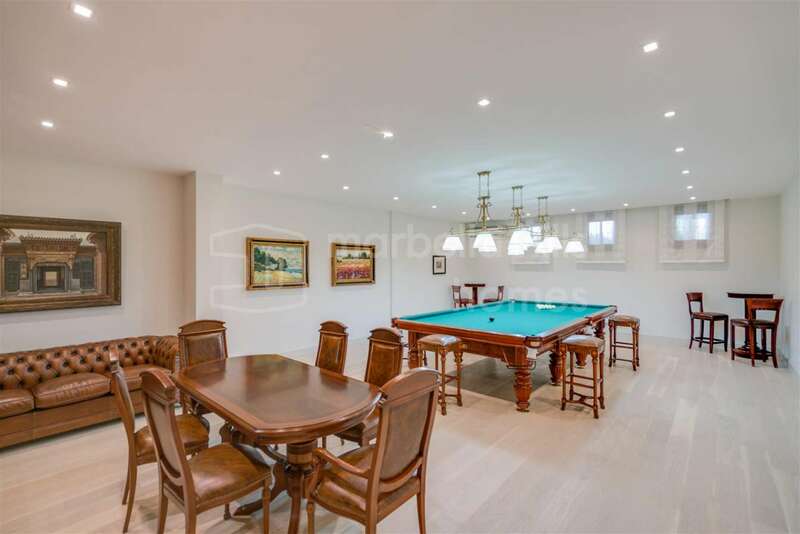 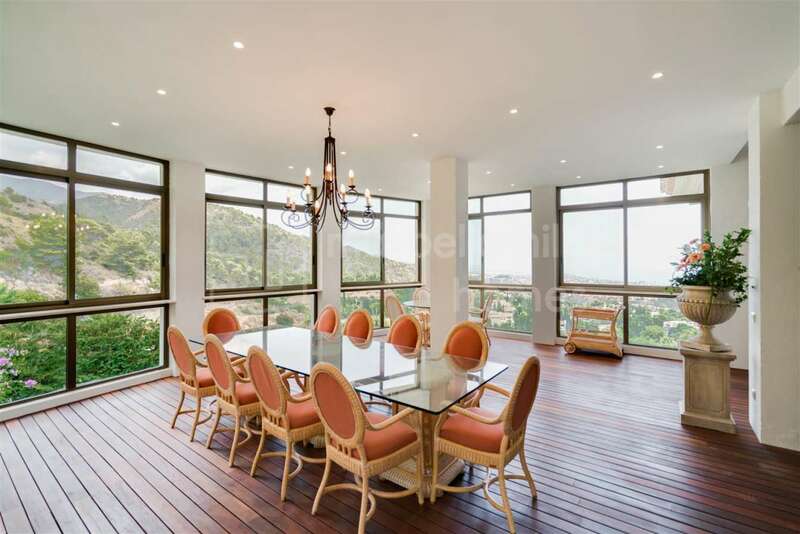 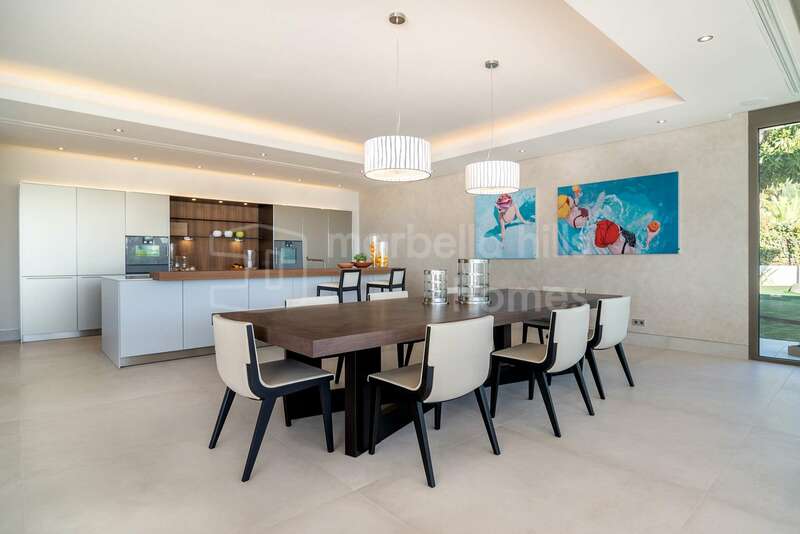 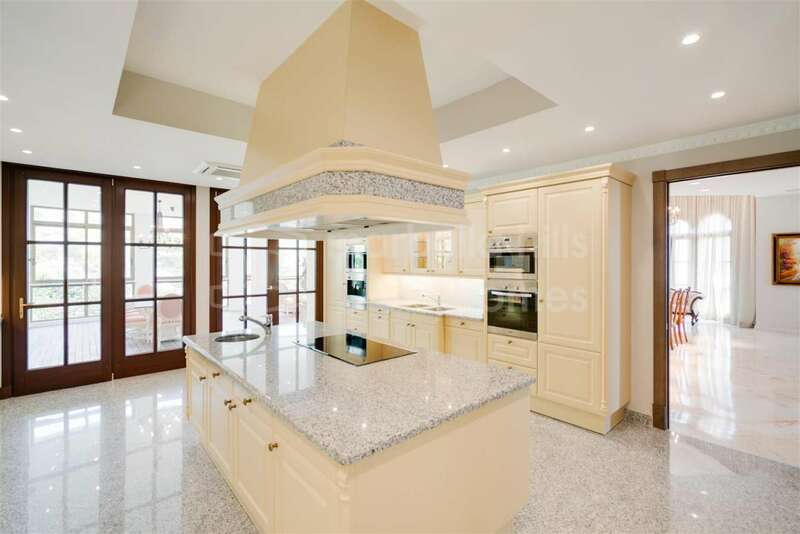 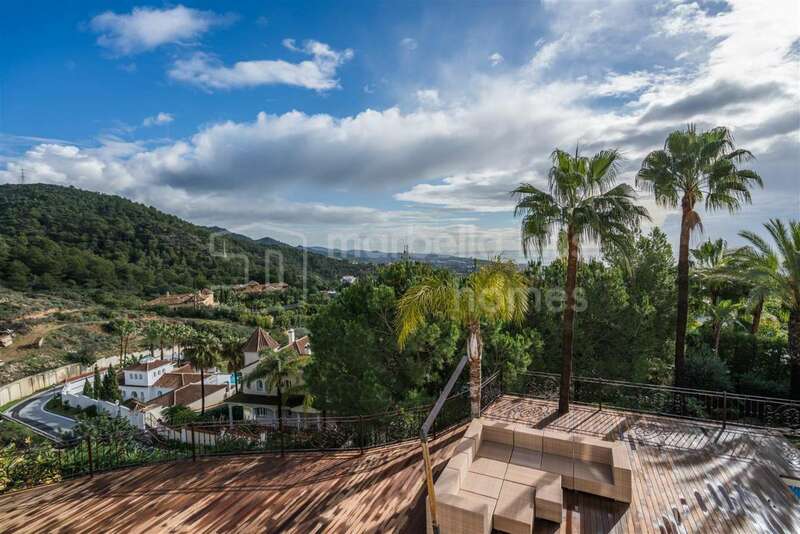 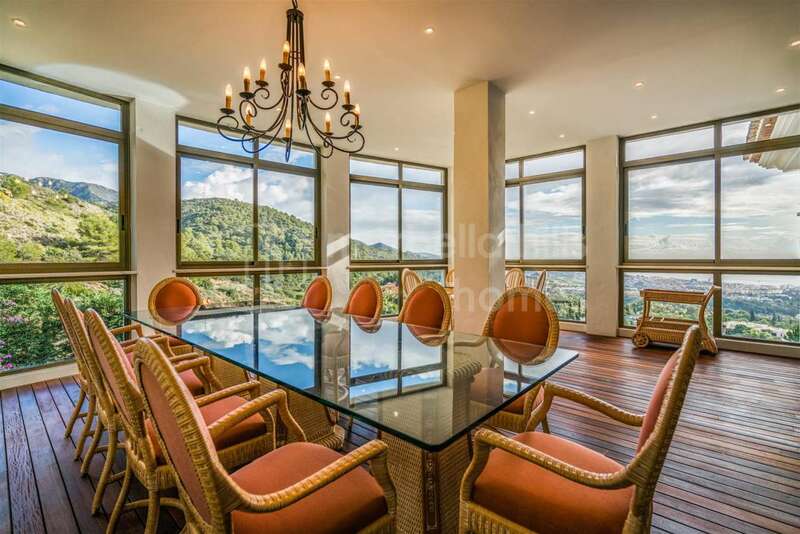 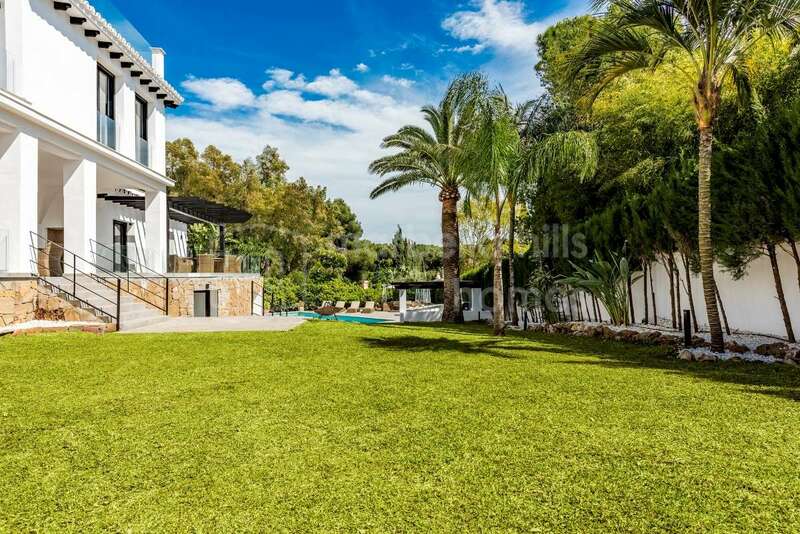 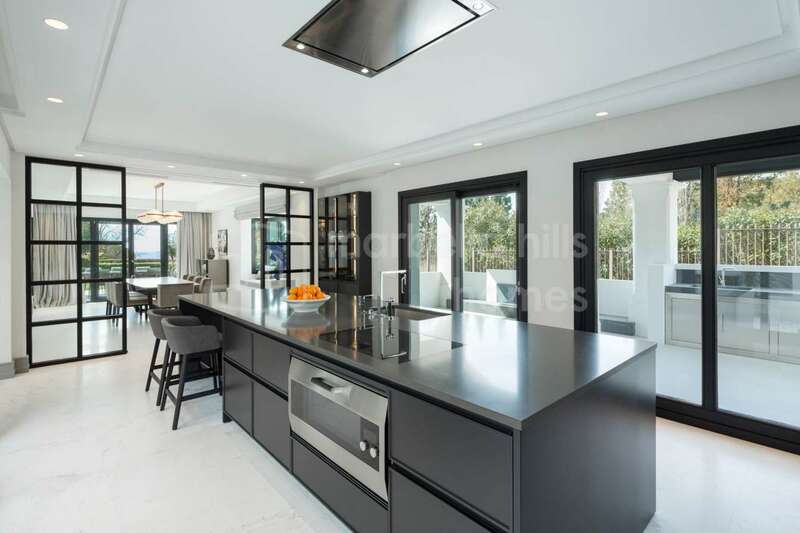 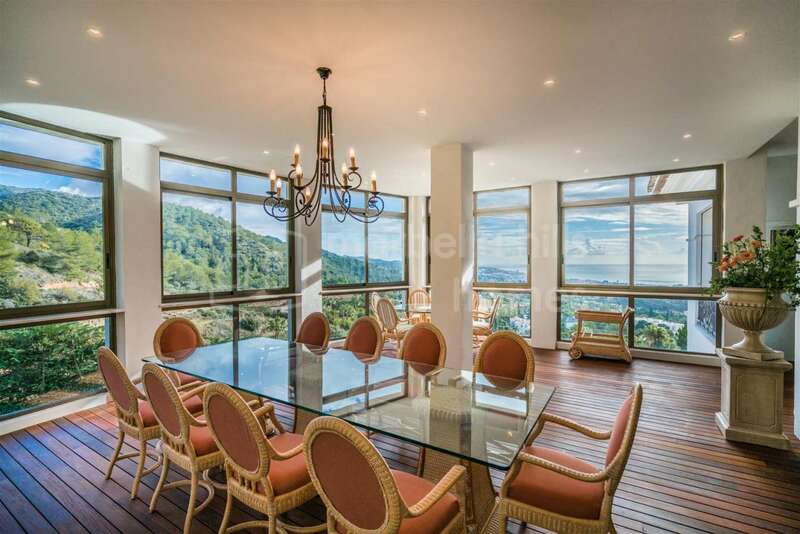 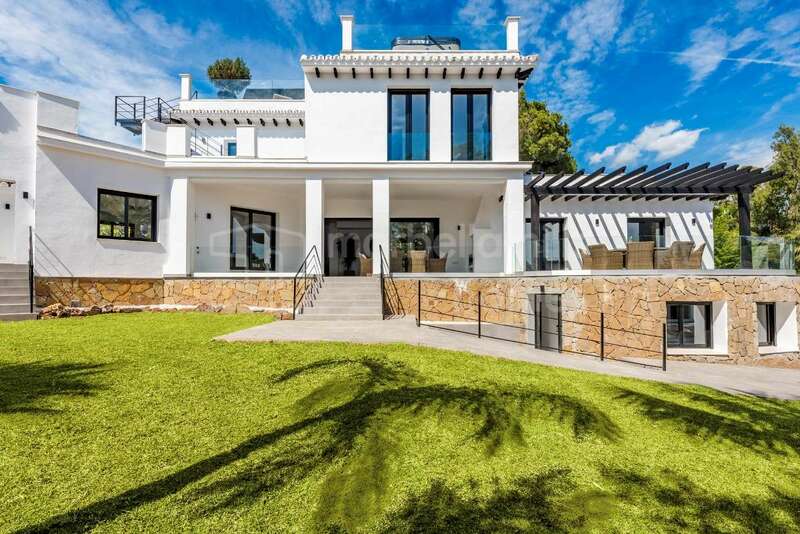 Fantastic ultra contemporary style villa superbly located in the prestigious area of Sierra Blanca. 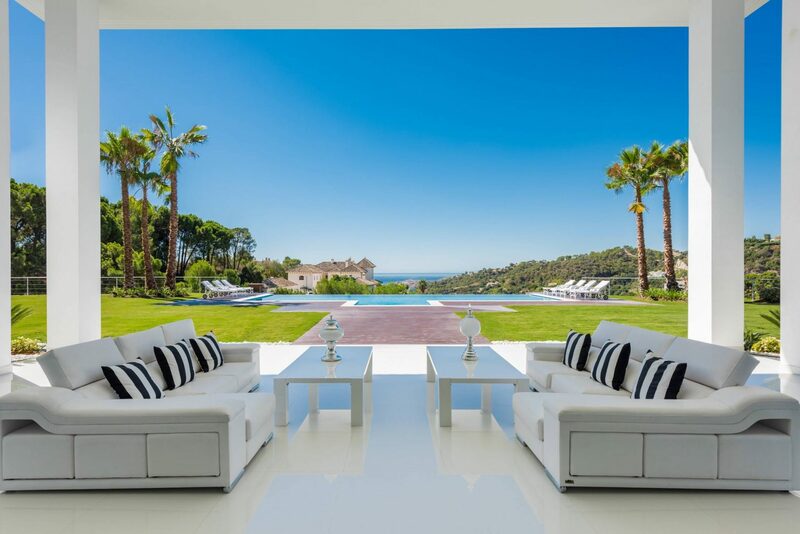 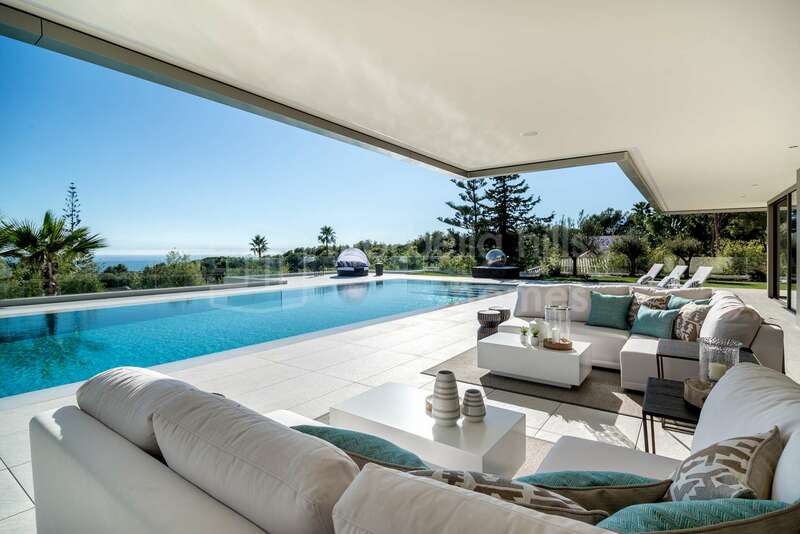 Panoramic sea and mountains views. 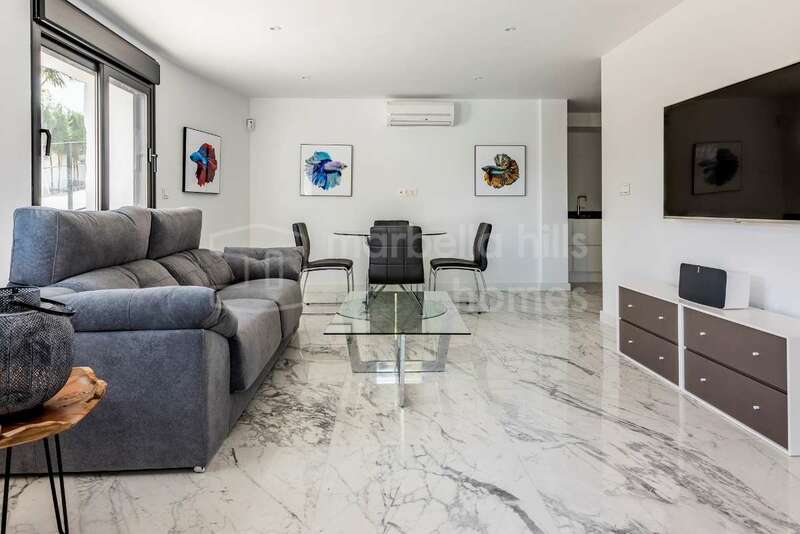 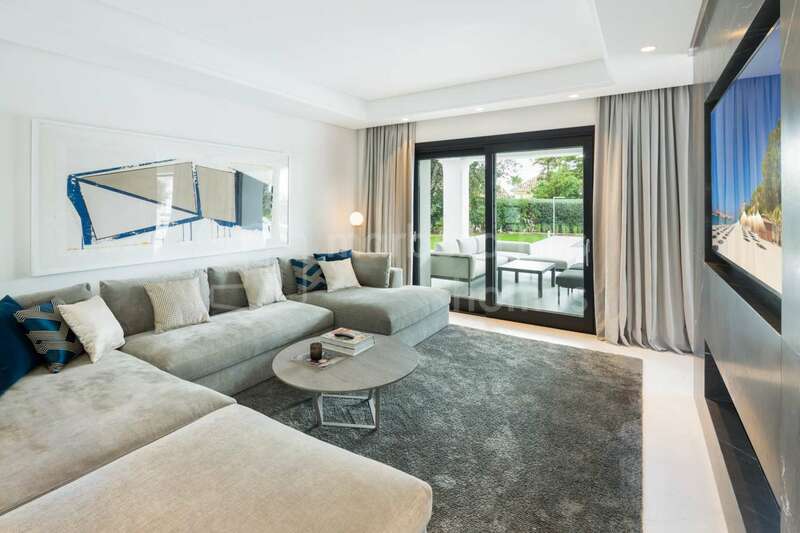 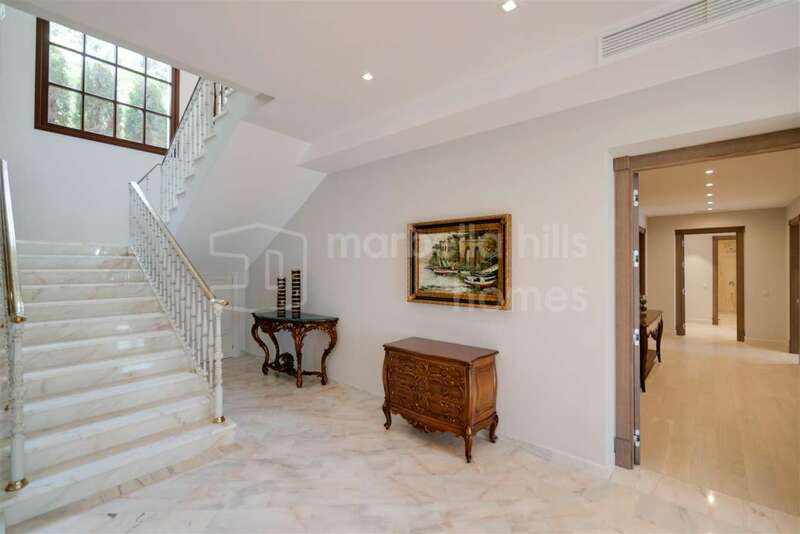 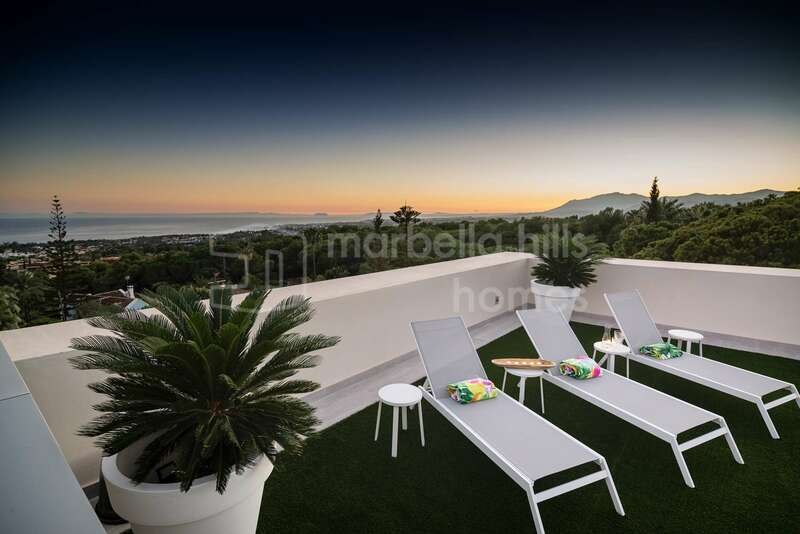 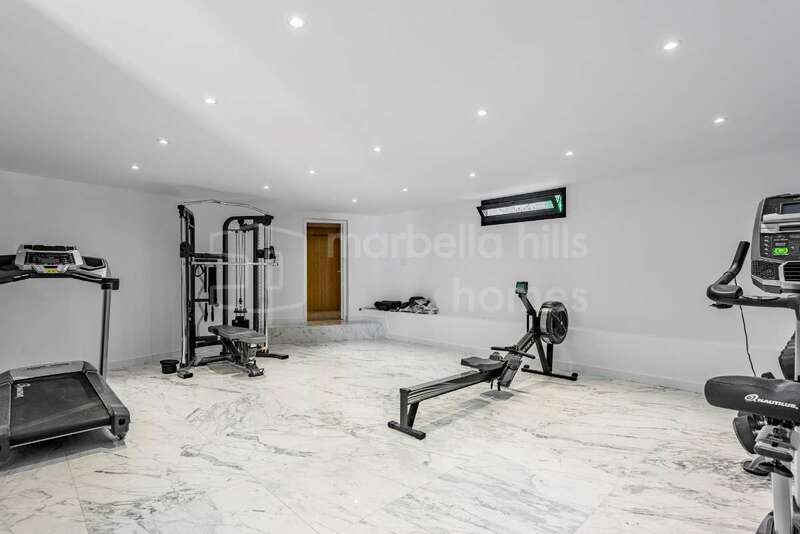 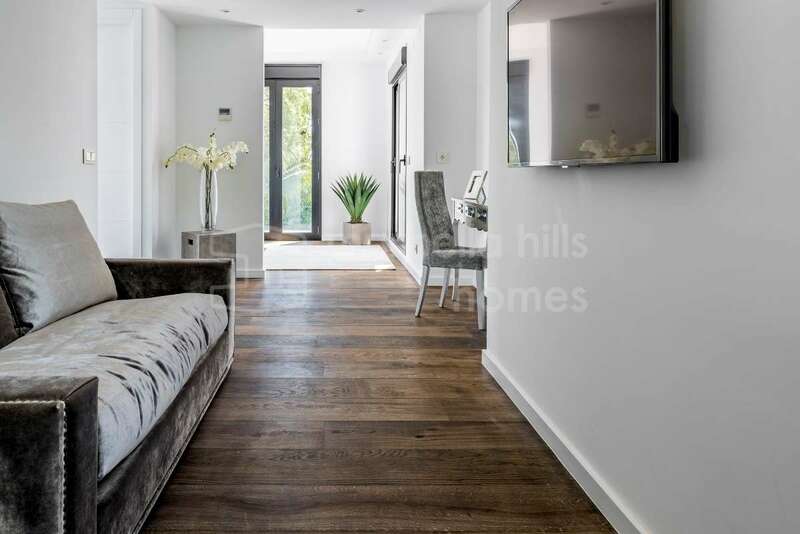 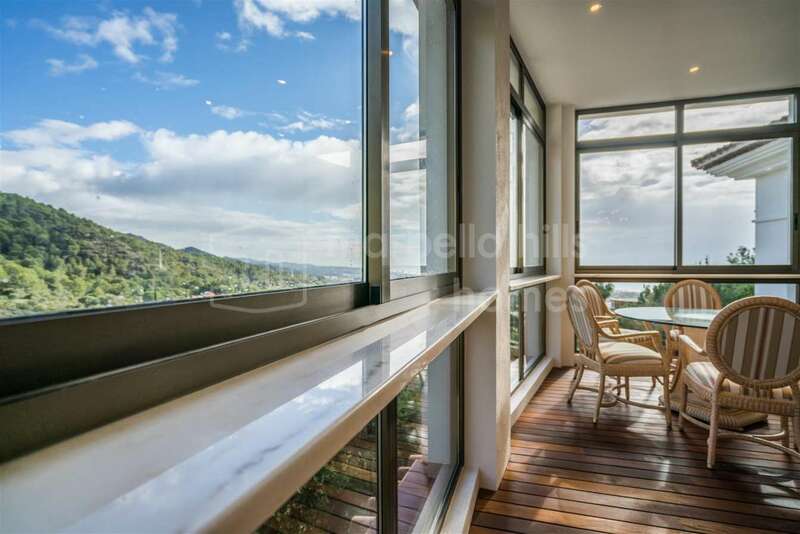 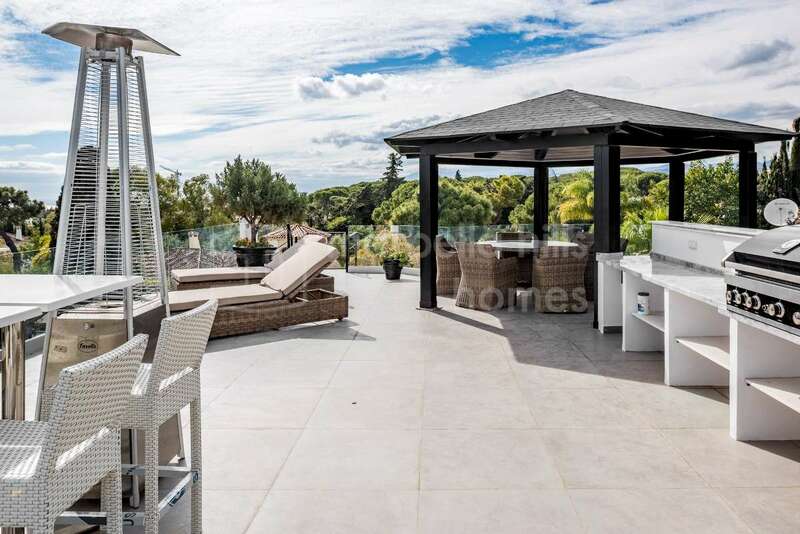 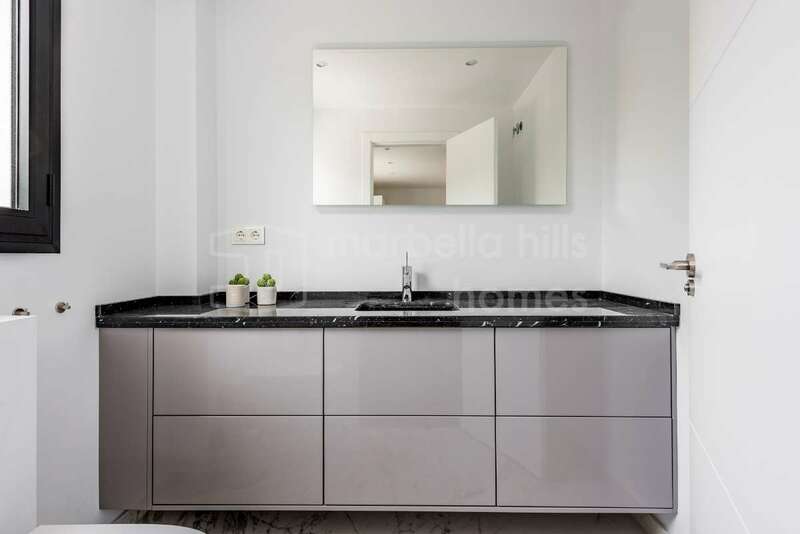 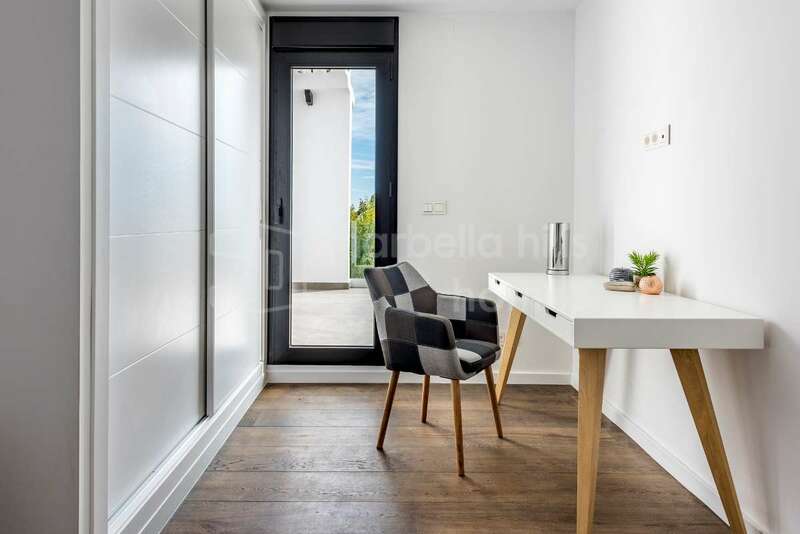 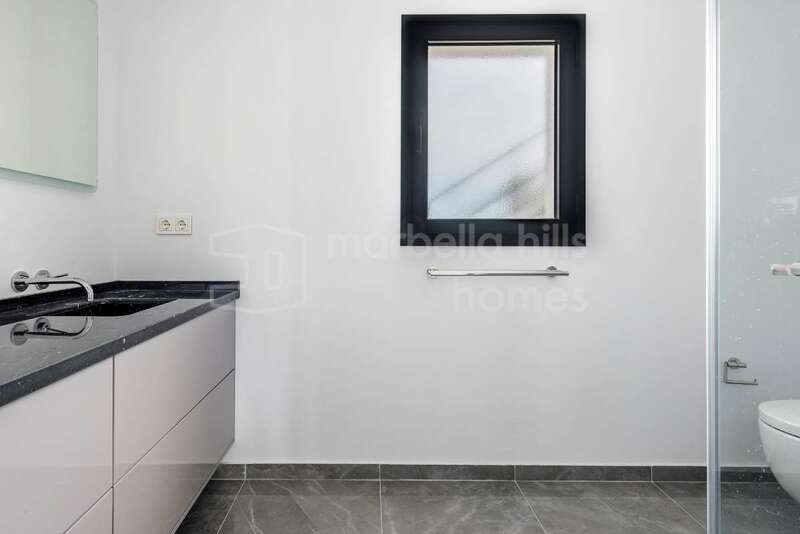 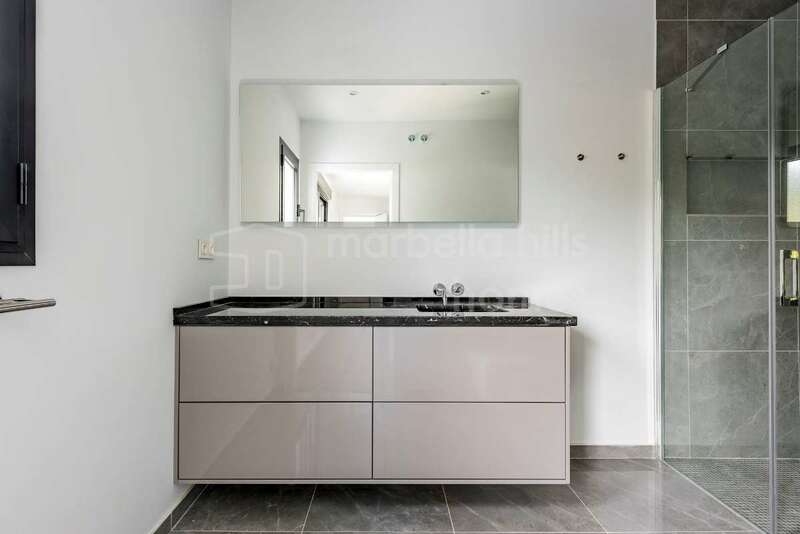 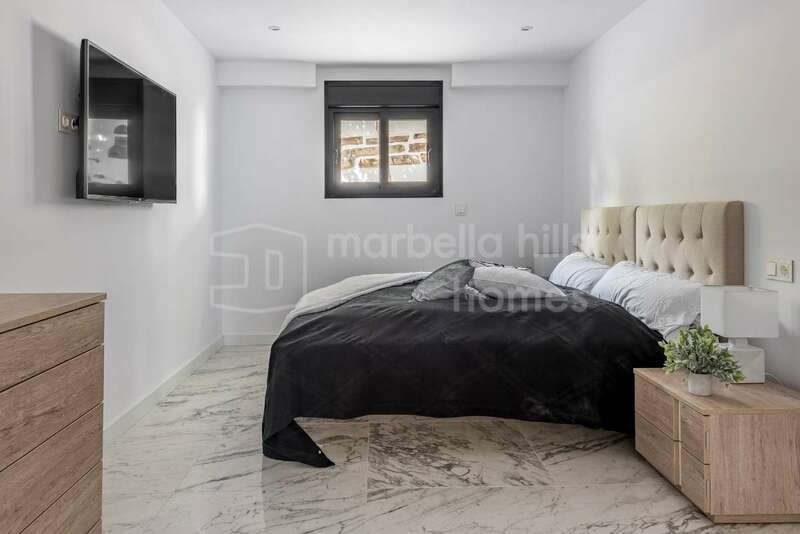 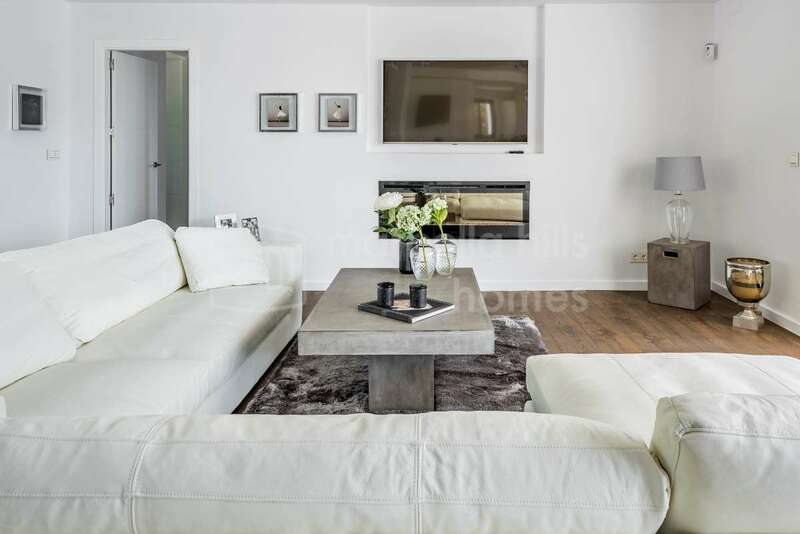 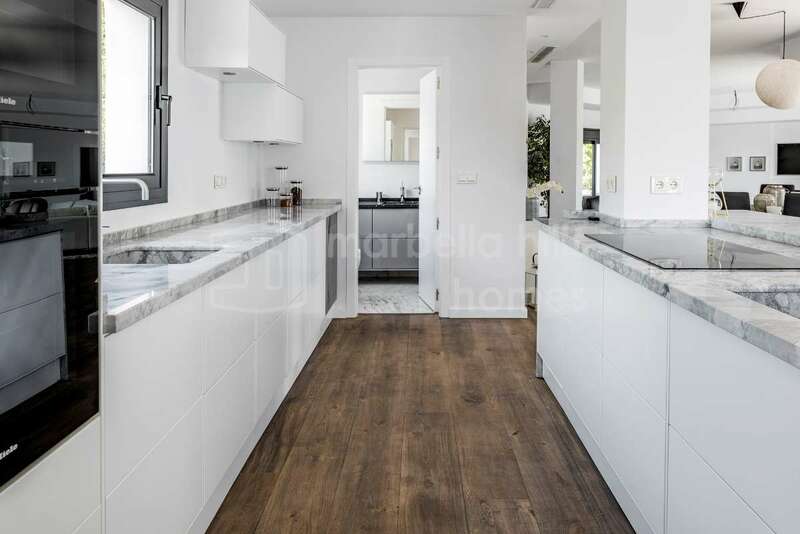 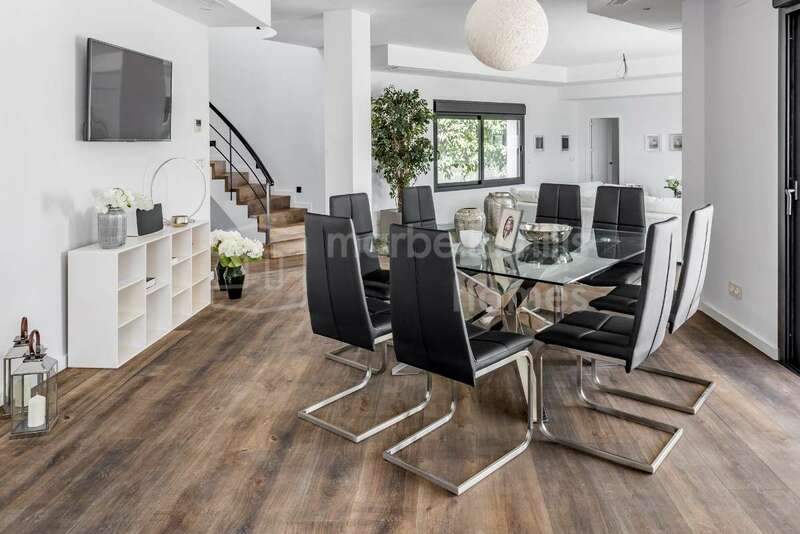 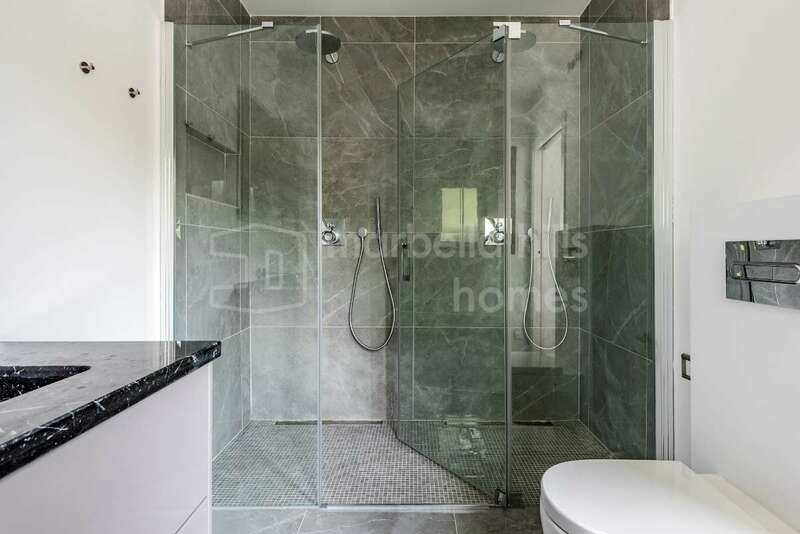 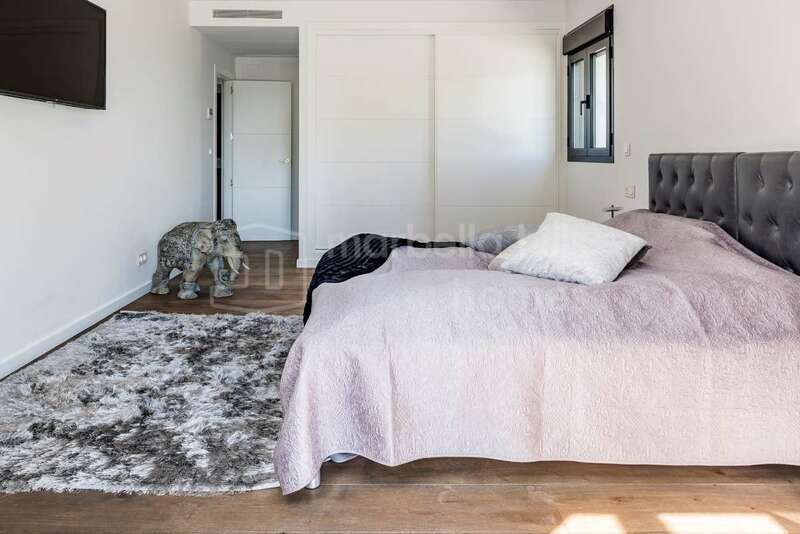 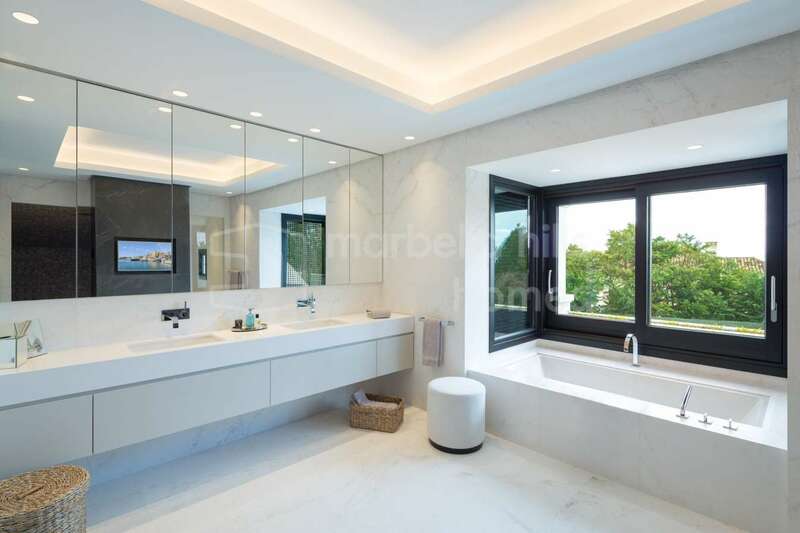 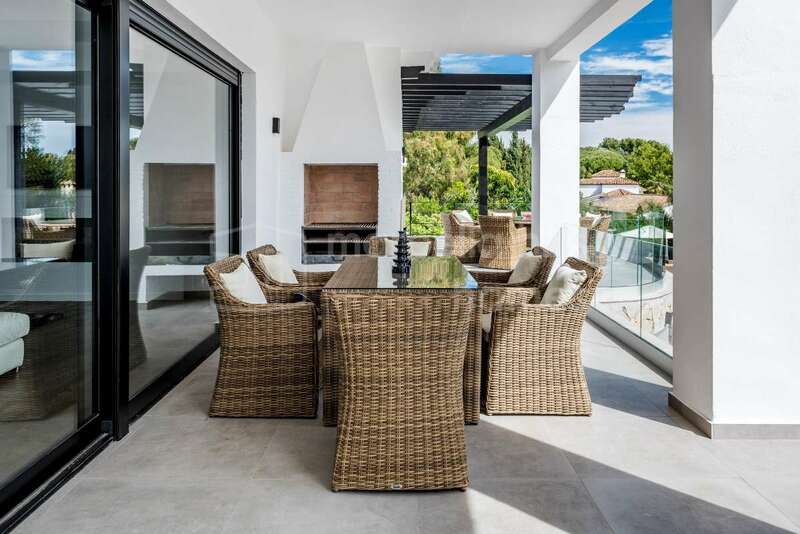 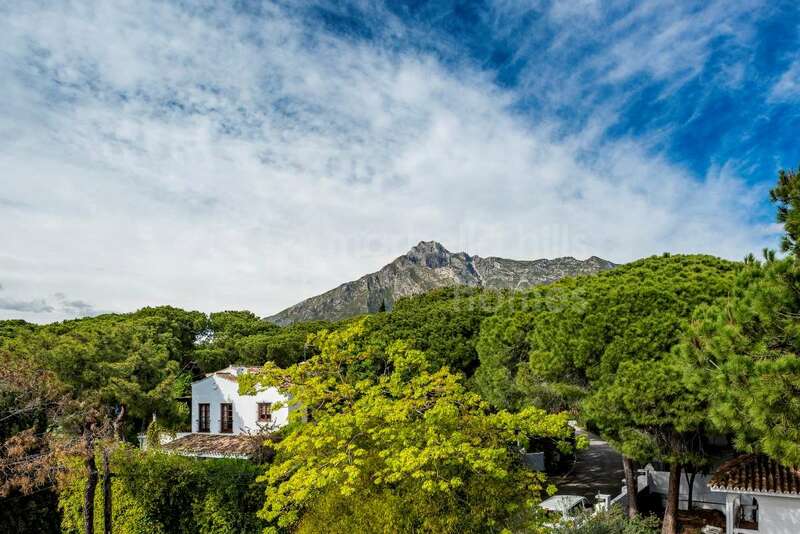 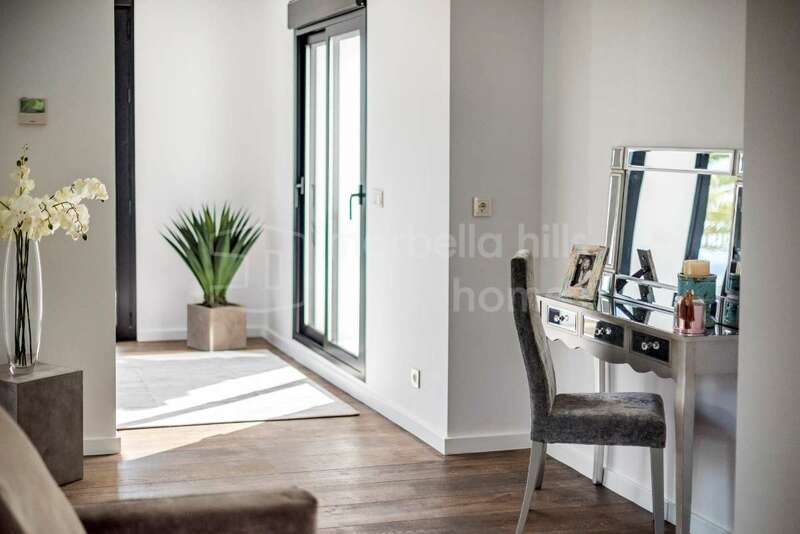 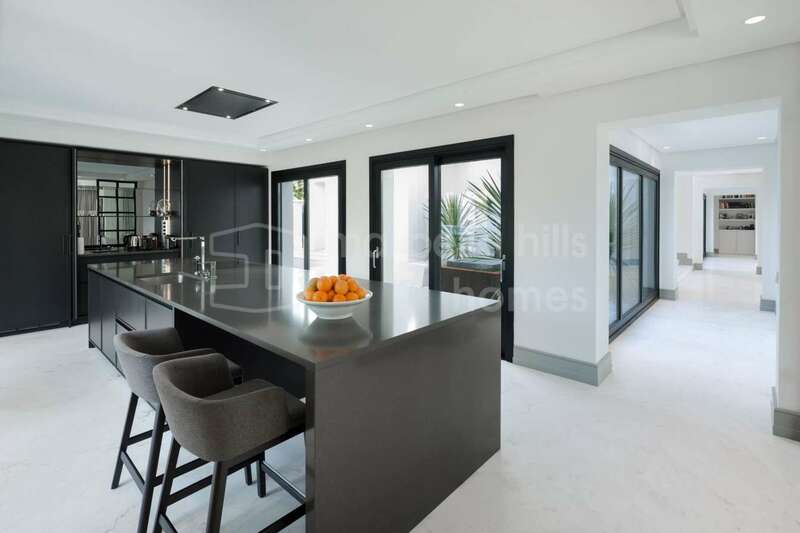 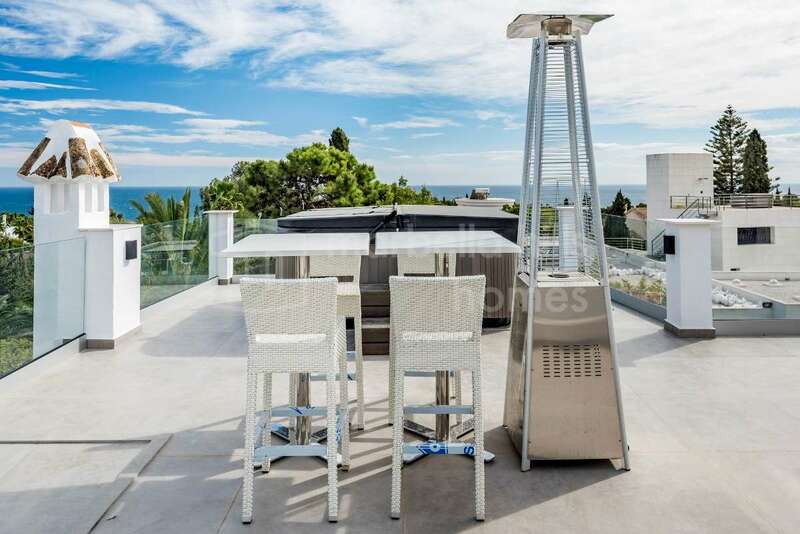 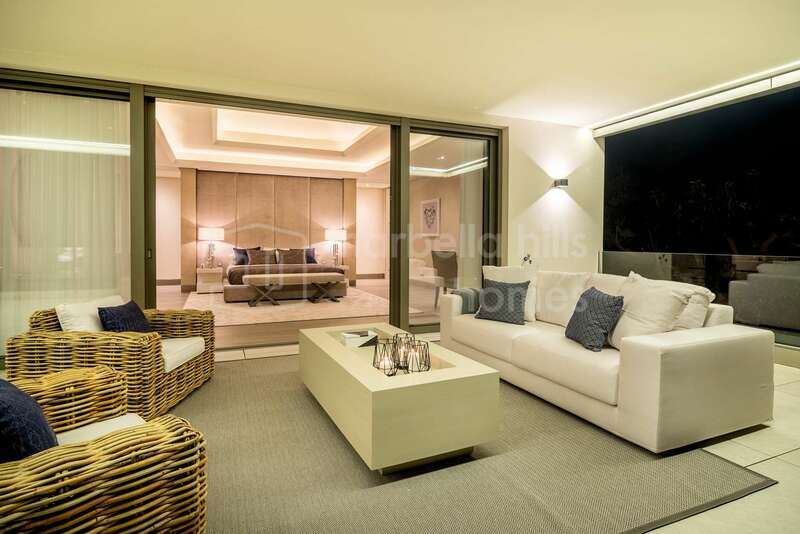 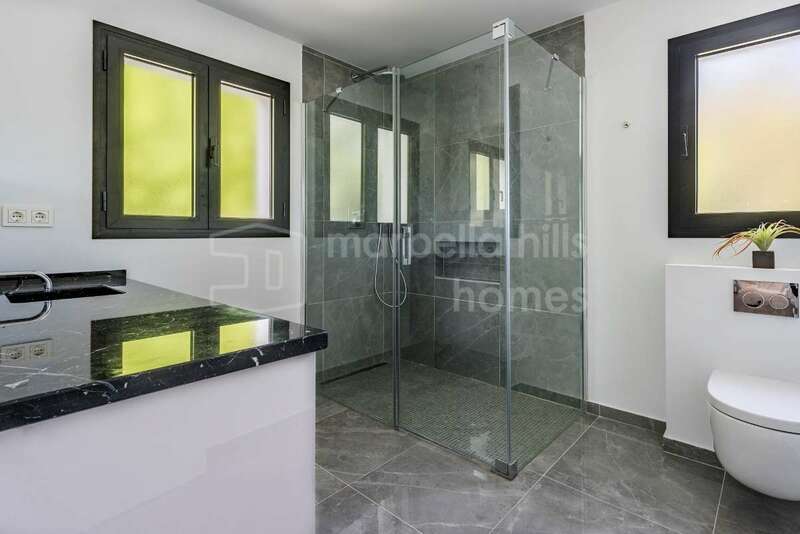 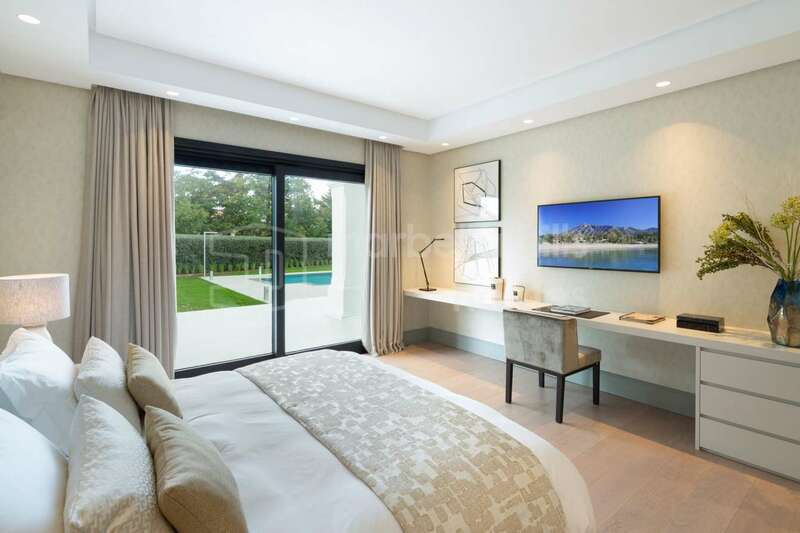 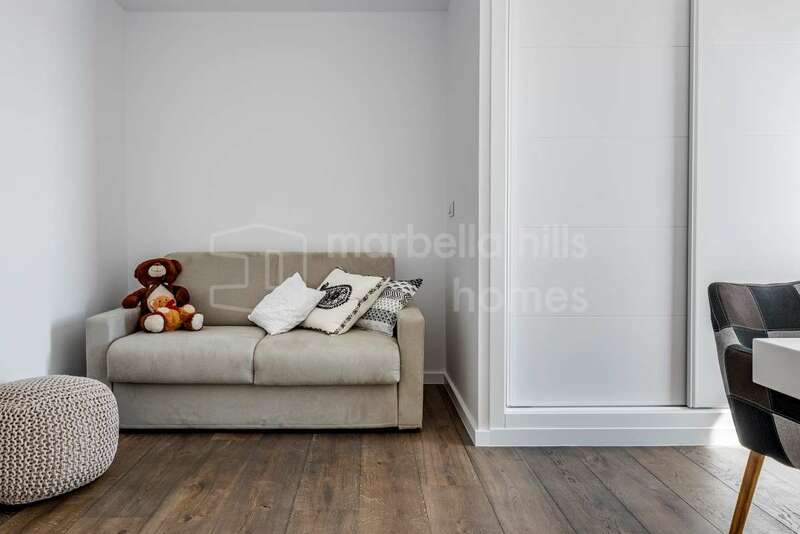 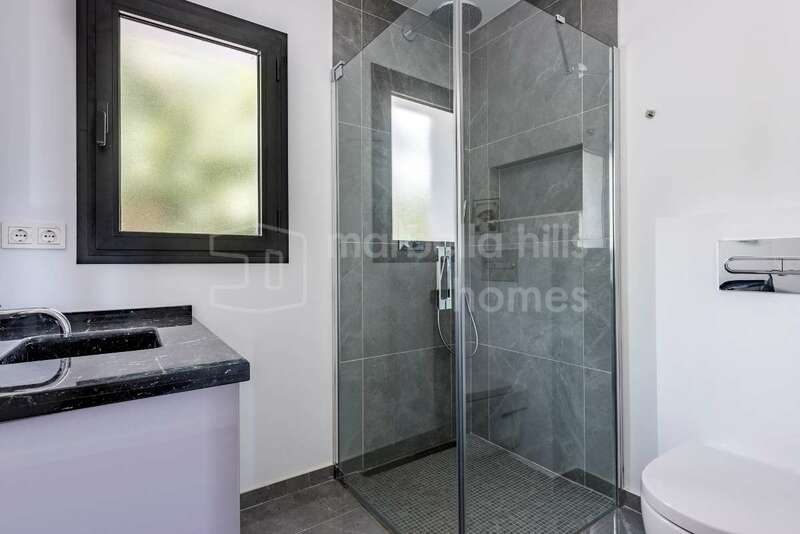 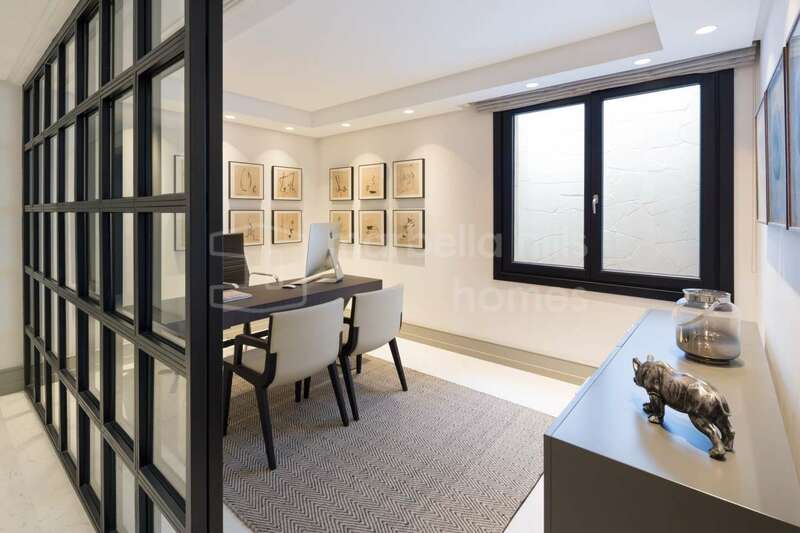 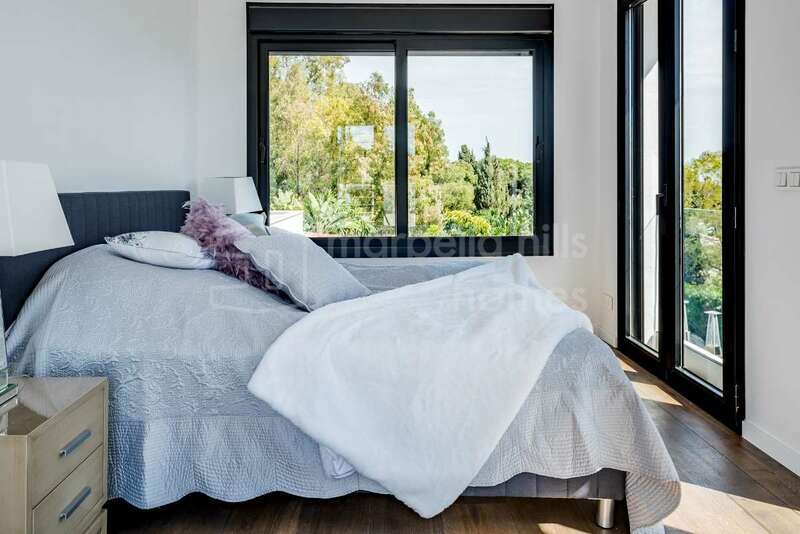 The residential area of ​​Sierra Blanca offers an exceptional living environment in a beautiful natural environment, yet very close to the center of Marbella and the international airport of Mālaga, thanks to a fast access to the motorway. 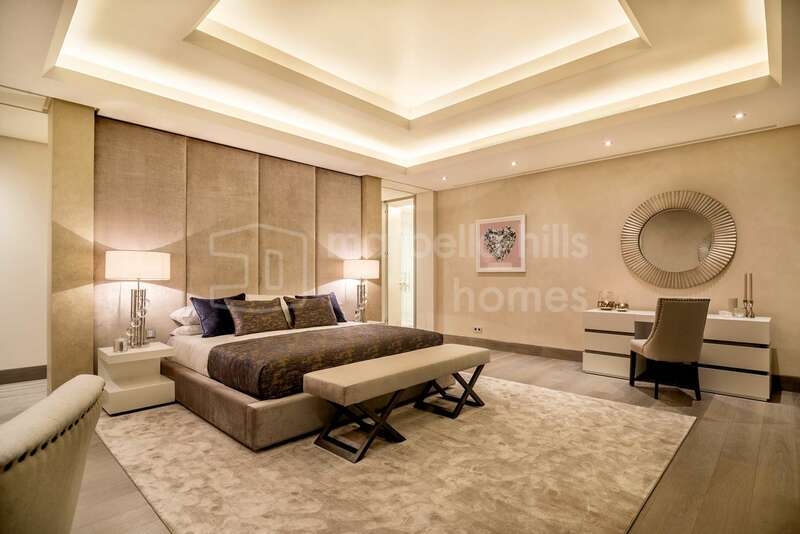 The property benefits from the highest quality standards of construction and state-of-the-art home automation. 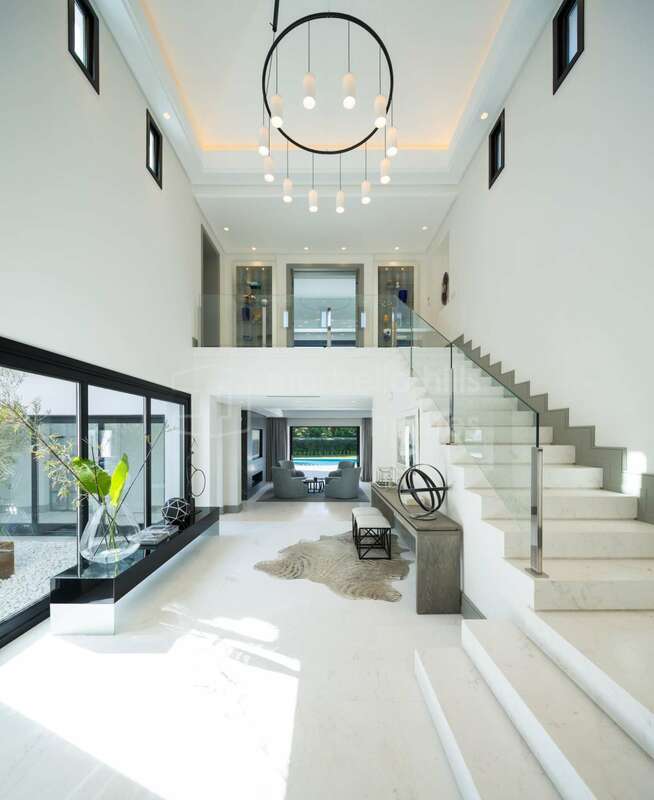 A private elevator serves each level. 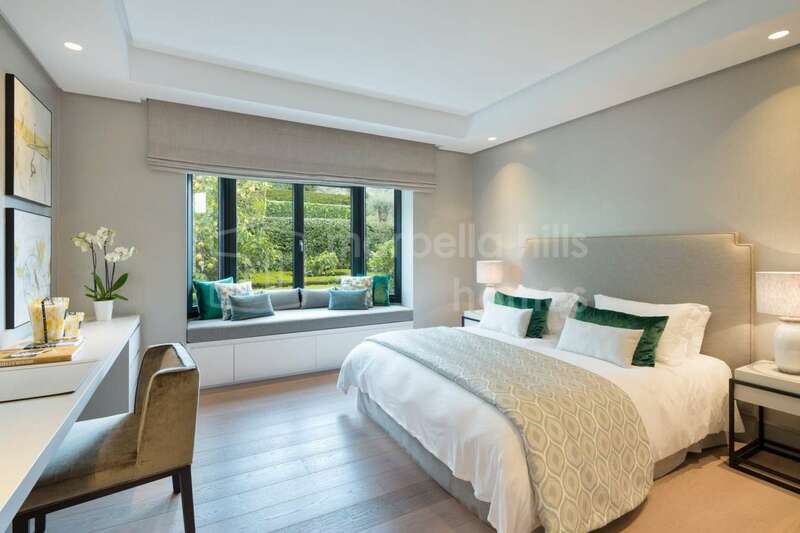 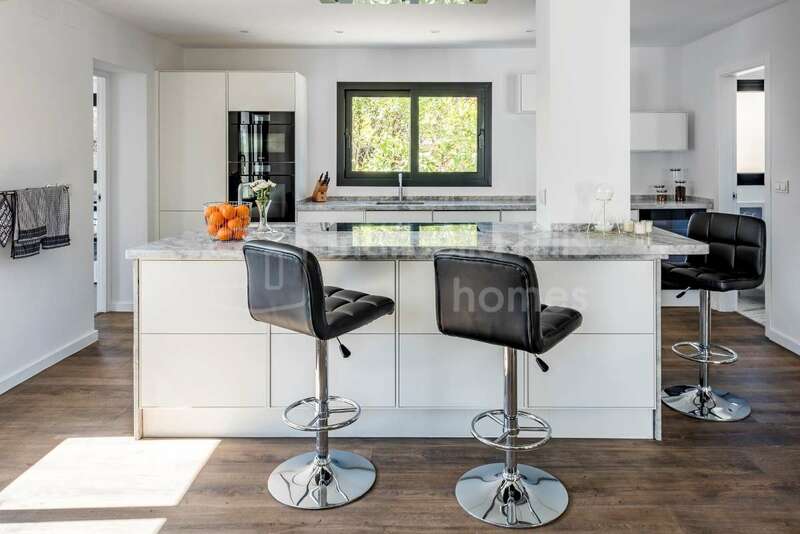 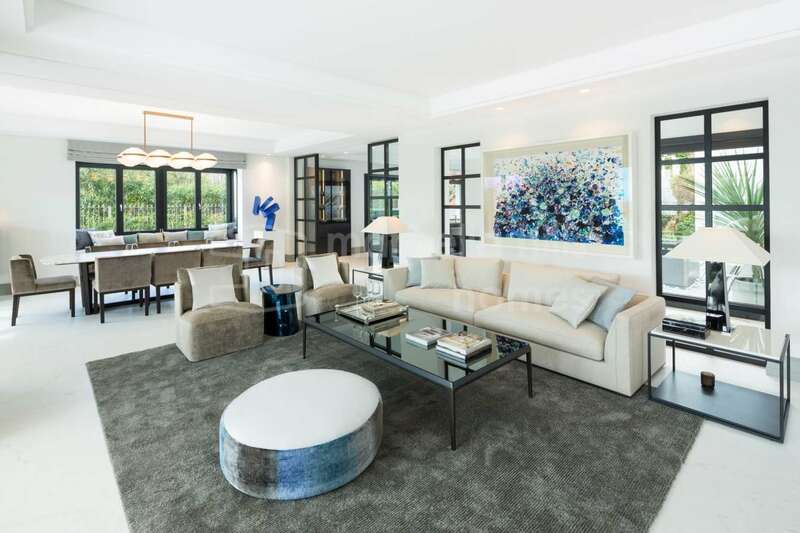 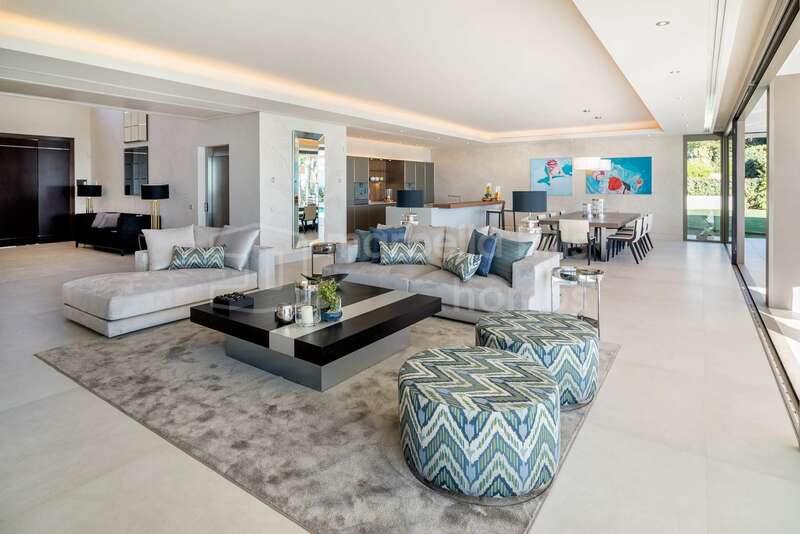 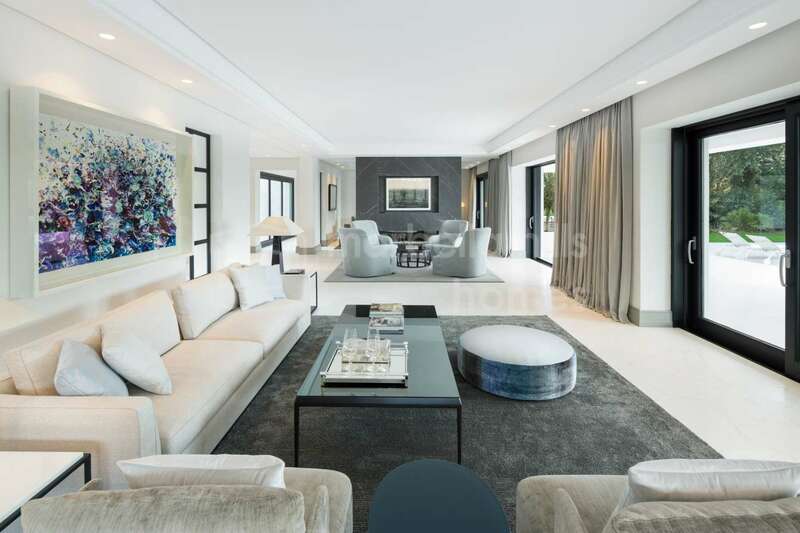 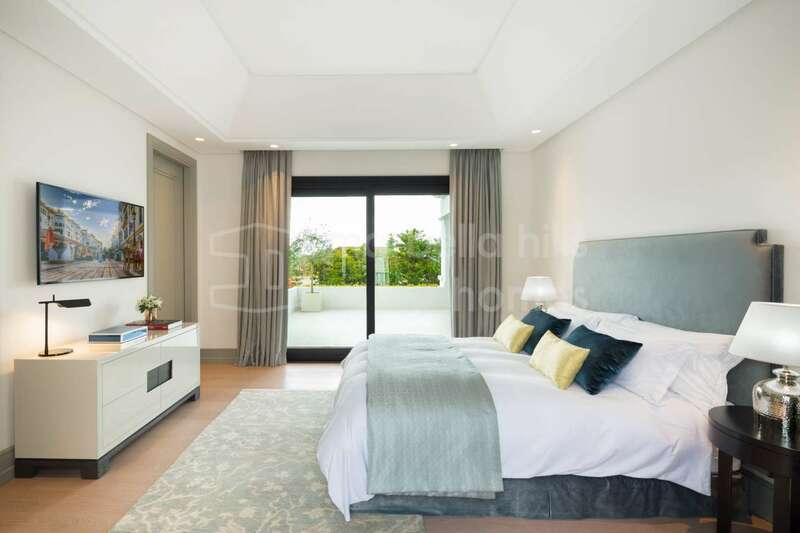 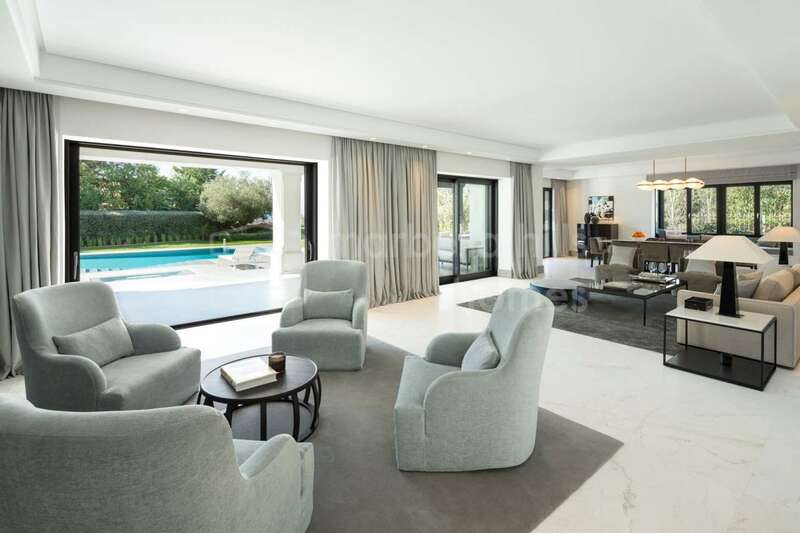 On the ground floor, the villa has a sumptuous open space with high ceilings including a living room with fireplace, a dining room, a designer kitchen fully equipped with Luxury appliances. 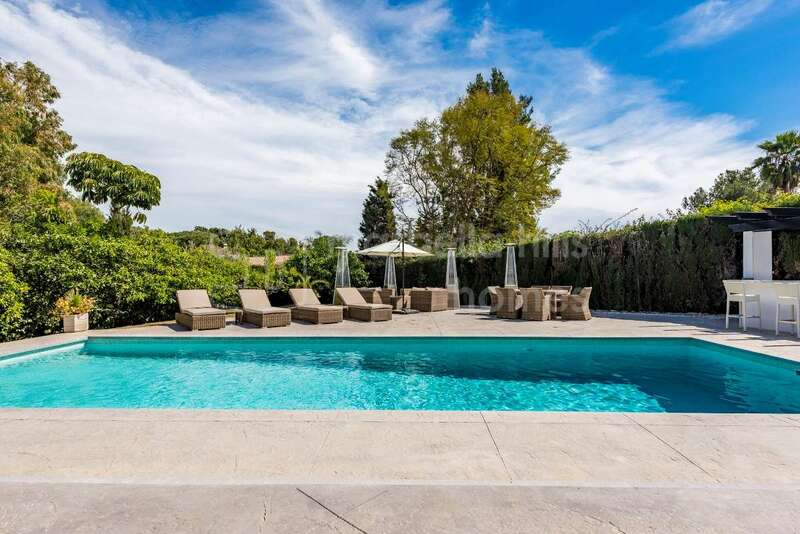 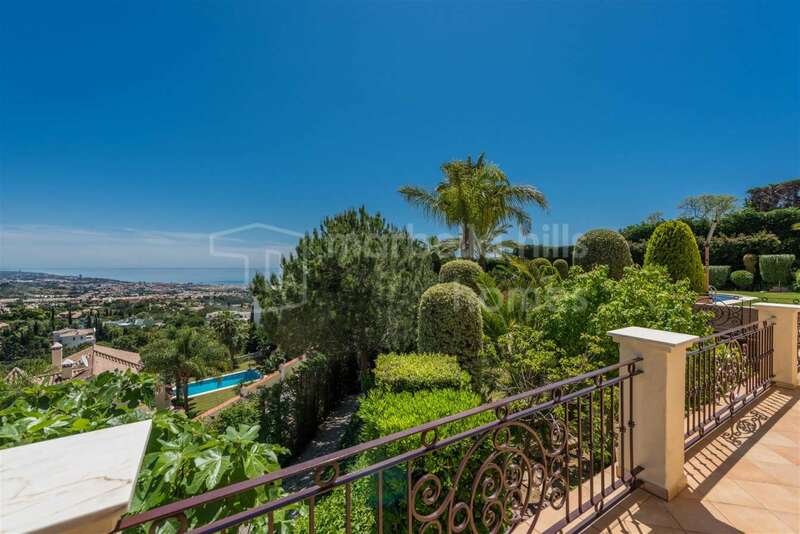 This space gives direct access to a vast terrace and to the garden with swimming pool. 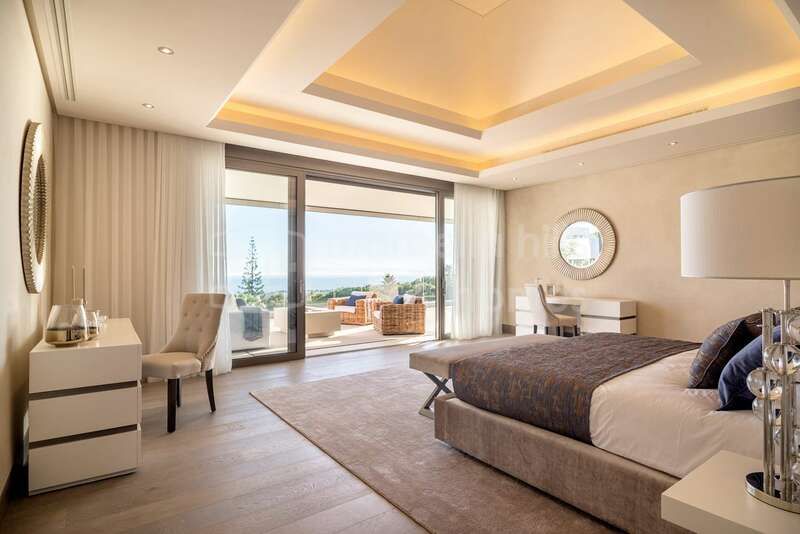 The villa’s 1st floor is composed of very spacious bedrooms offering luxurious en suite bathrooms. 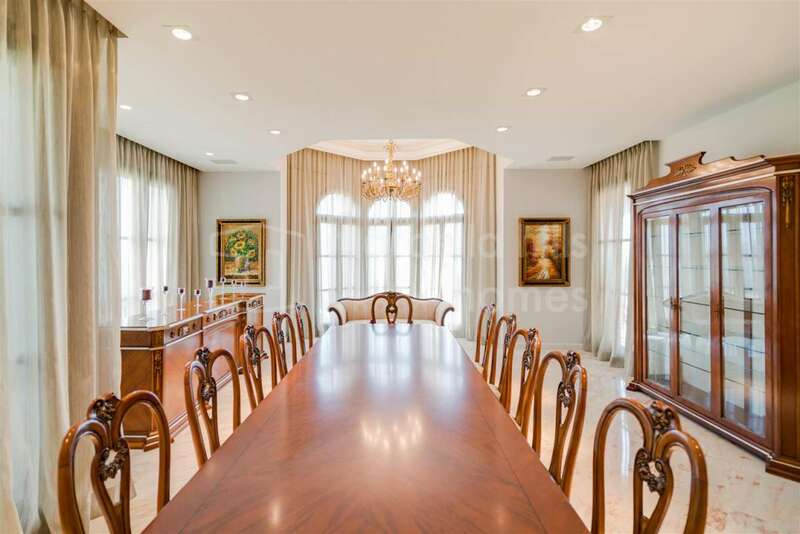 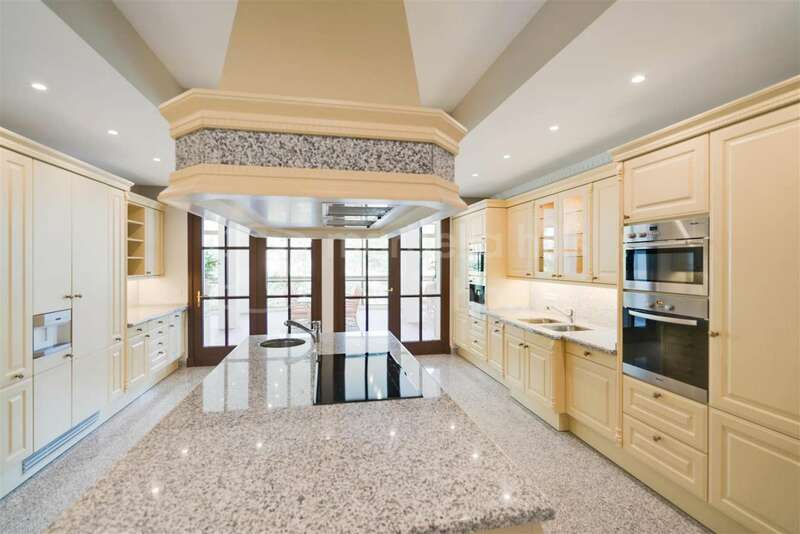 Large bay windows and double-height ceilings let natural light enter afloat. 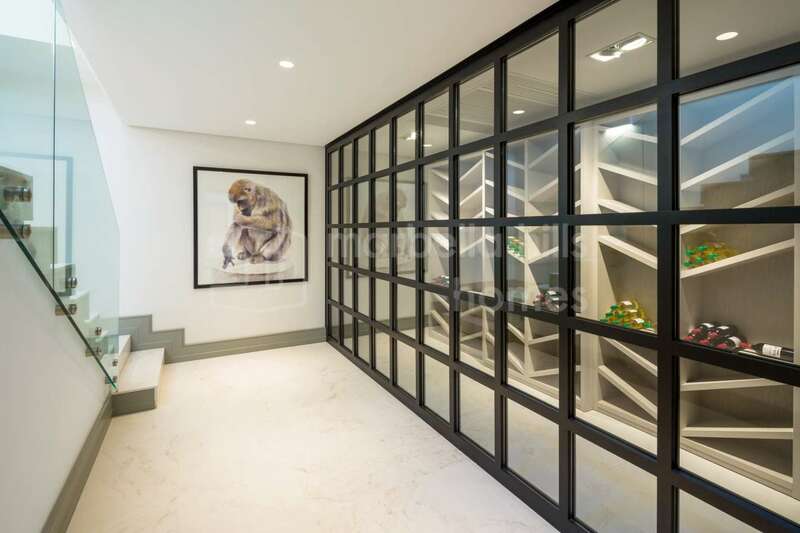 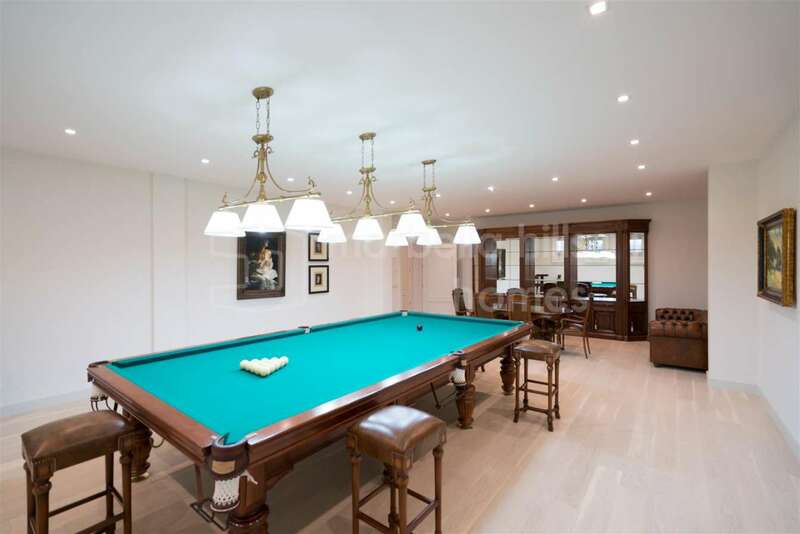 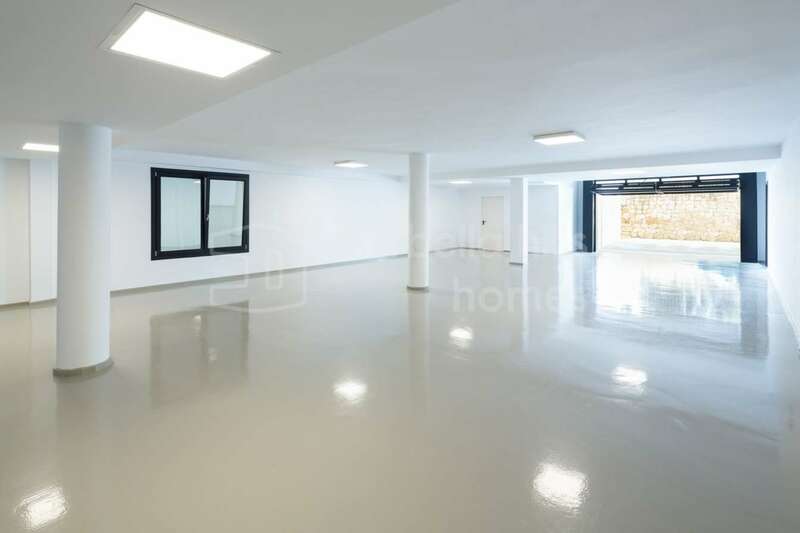 In the basement, the garage space, treated with a maximum aesthetic, can accommodate 6 or 7 cars. 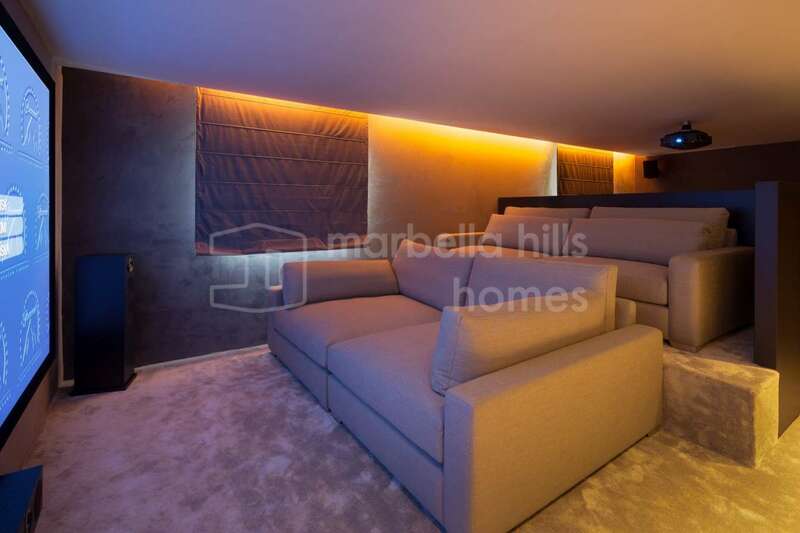 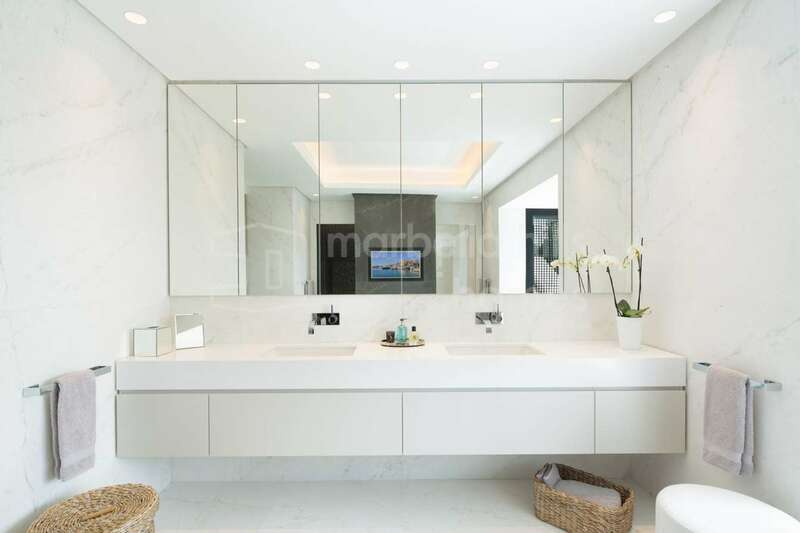 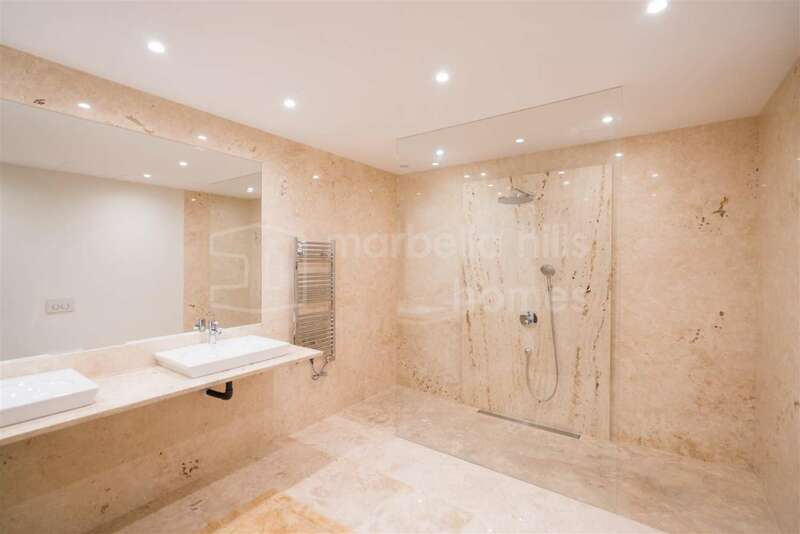 Two other rooms are suitable for home-cinema, spa or fitness room, according to the clients requirement. 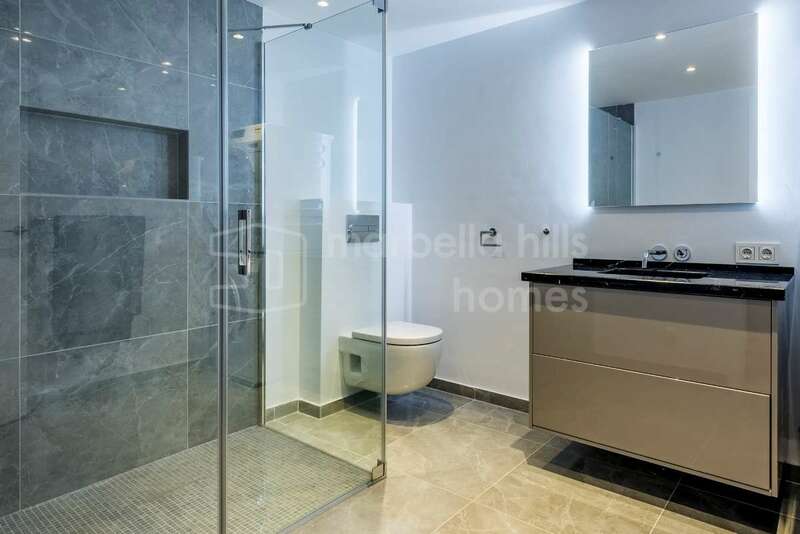 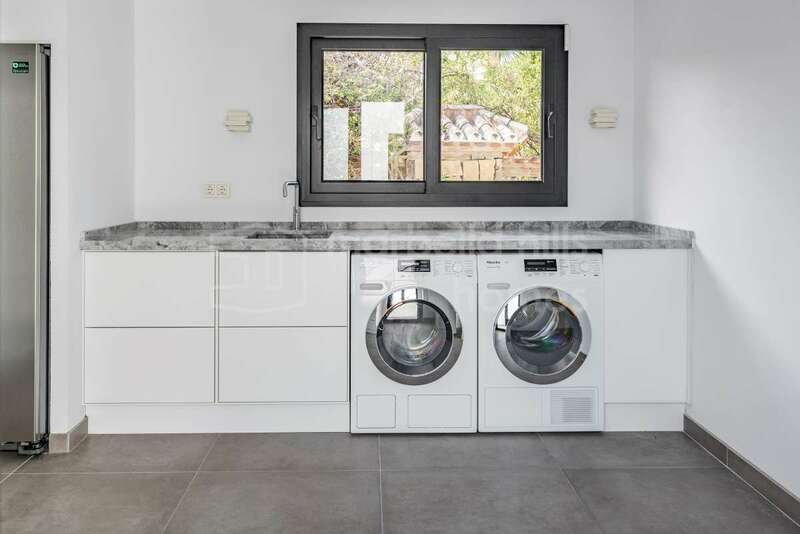 There is also a laundry room as well as a staff apartments with a fully equipped bathroom. 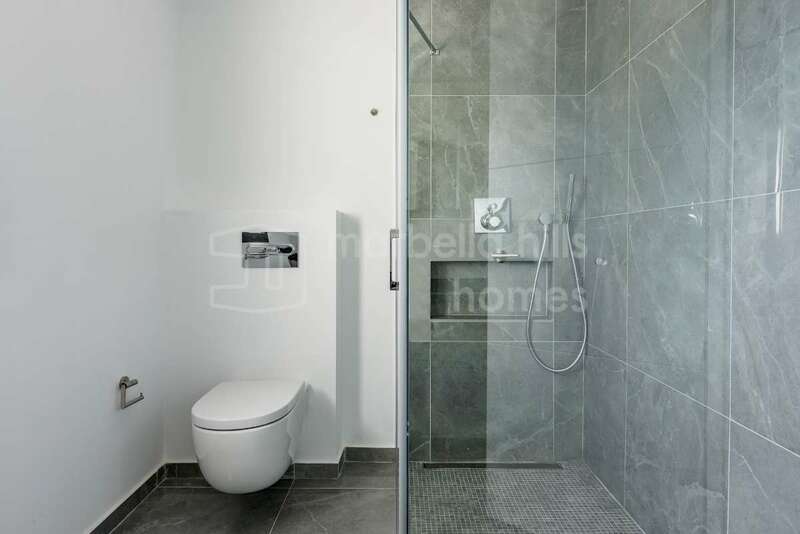 Fully fitted kitchen, Close to shops, Close to town, Guest apartment, Office room, Utility room, Fireplace, Marble floors, Jacuzzi, Sauna, Satellite TV, Basement, Solar panels, Guest room, Storage room, Gym, Alarm, Double glazing, Brand new, Dining room, Security service 24h, Living room, Water tank, Amenities near, Sea view, Mountain view, Heated pool, Underfloor heating (throughout), Automatic irrigation system, Dolby Stereo Surround system, Laundry room, Internet - Wifi, Covered terrace, Electric blinds, Fitted wardrobes, Air conditioning, Lift, Cinema room, Close to Sea/Beach, Close to Golf, Uncovered terrace, Game Room, Glass Doors, Separate dining room, Open plan kitchen, SPA, Fully furnished, Handicapped Access. 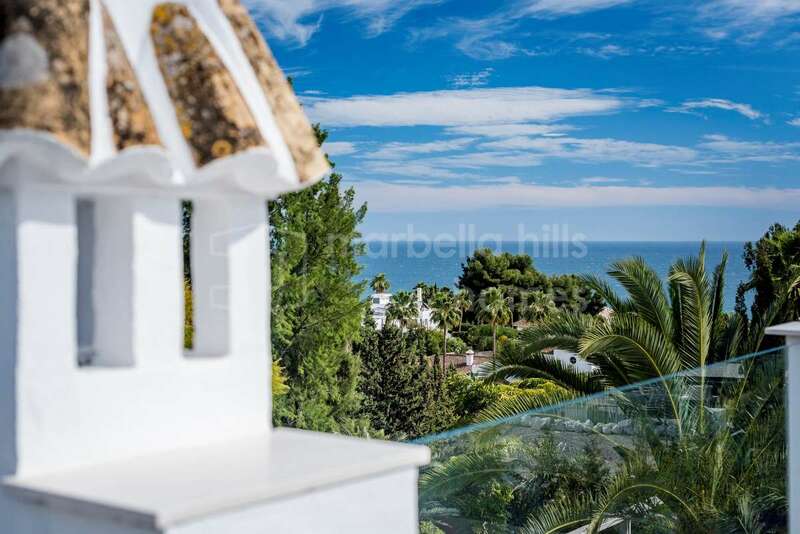 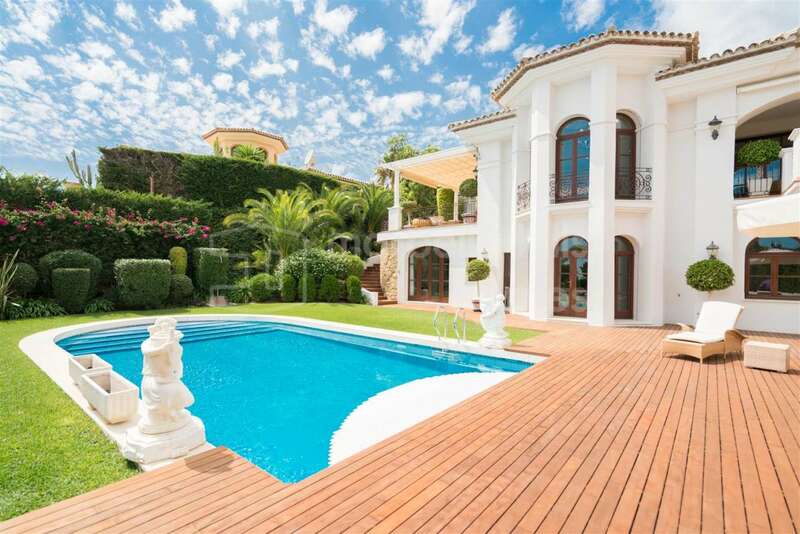 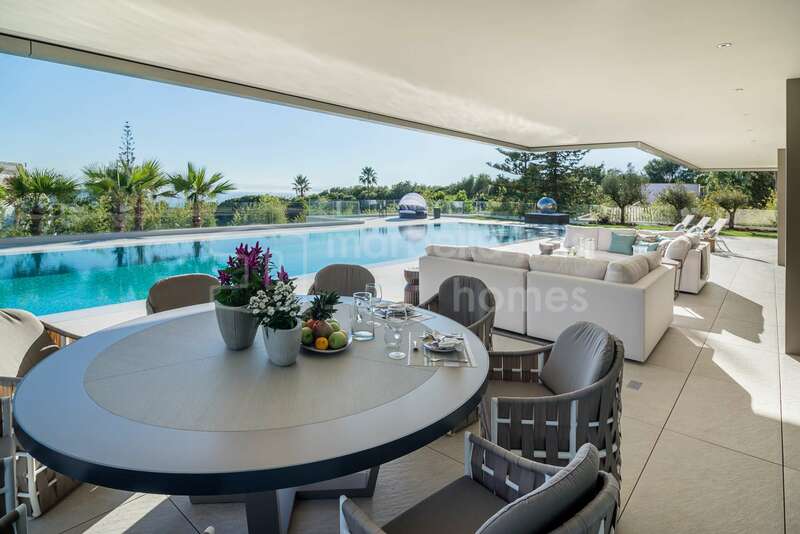 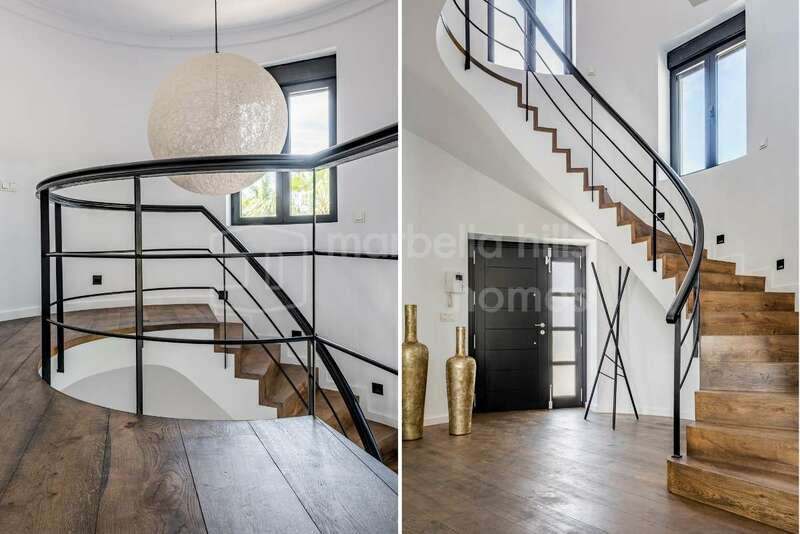 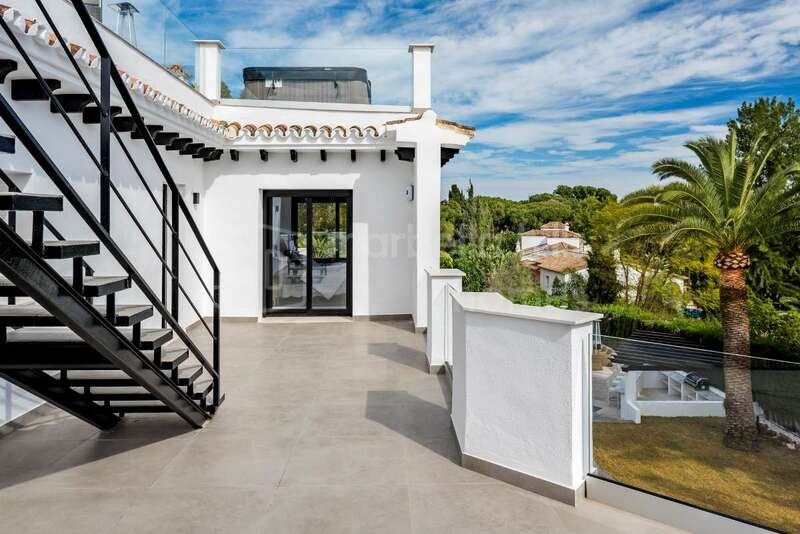 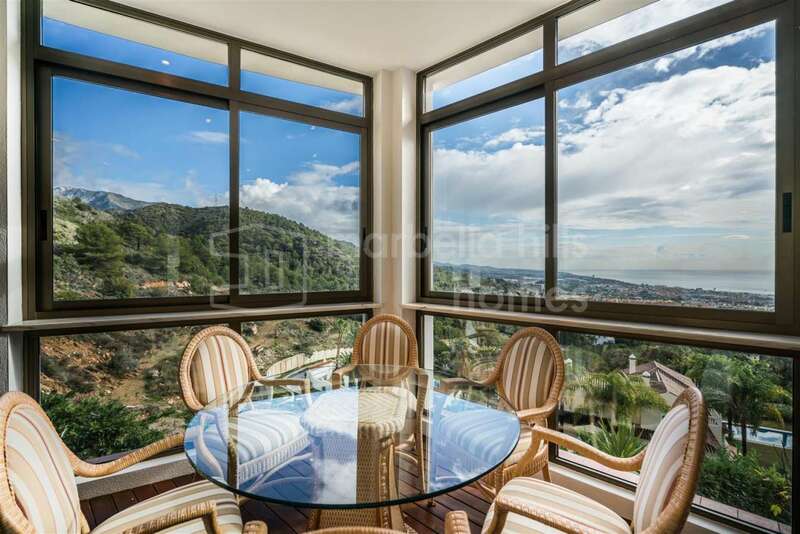 Charming villa with stunning sea views in Sierra Blanca, Golden Mile.